The Research Nucleus on Environmental and Natural Resource Economics – Universidad de Concepción, is a research group supported by the Millennium Social Sciences Initiative, from the Ministry of Economics, Promotion and Tourism, of the Government of Chile. A main task of the nucleus is to promote and reinforce the development of research for appropriate environmental and natural resources management and conservation, responding to the current and future challenges and demands of society. The Nucleus is hosted by the Economics Department, Universidad de Concepción. The host University is an academic institution created by the community of Concepción in 1919. It is one of the oldest and more prestigious universities in the country. The University has a tradition in research in several areas related to the conservation and management of natural resources and environmental protection. 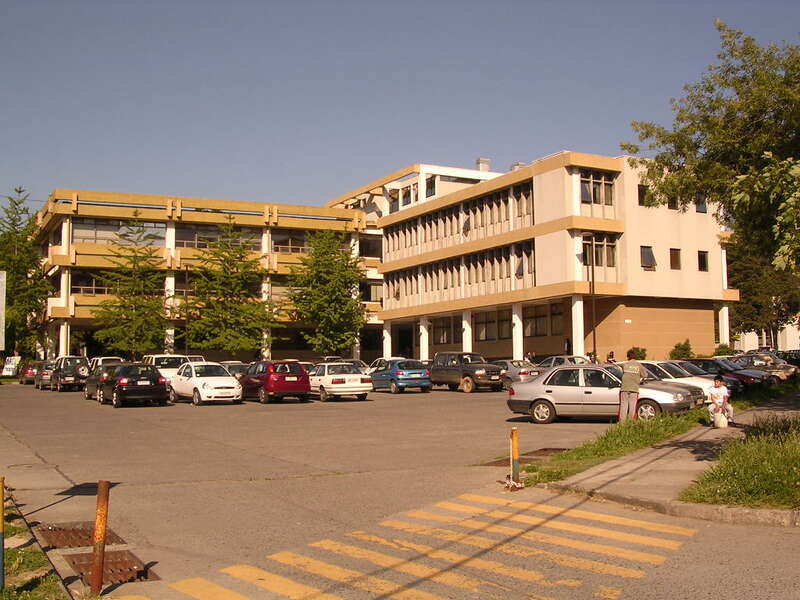 The Economics Department of the Universidad de Concepción has been carrying out undergraduate and graduate teaching and scientific research activities in the area of natural resource and environmental economics for over nineteen years, mainly through the Bachelor Degree in Economics and the Master Program in Natural Resource and Environmental Economics. The Nucleus has a unique small core of researchers in a country in Latin America. The aim of this group is to conduct research to produce high quality scientific knowledge to help shape sound policies to protect the environment and achieve a sustainable use of natural resources. It conducts theoretical and empirical research primarily motivated by policy relevant problems and questions. The scientific activity of the Nucleus covers a number of research areas, including Environmental Economics, Fisheries Economics, Development and Poverty, Forestry Economics, Environmental Valuation, Climate Change, and Political Economy and Institutional Economics. It primarily contributes to human capital formation through teaching activities to undergraduate Chilean students pursuing a bachelor science degree in Economics, and to Latin-American students pursuing a Master degree (Master Program of Natural Resource and Environmental Economics). It also develops specific activities to strengthen the links between the nucleus researchers and agents involved in the design of environmental and natural resource management policies at the regional, national and international levels. We develop theoretical and applied research with emphasis on the design of public policies for the management and protection of natural resources and the environment. The research of the nucleus is oriented to increasing knowledge about the consequences of current uses of natural and environmental resources at the local, national and international levels. The activities of the nucleus aim to generate analytical and managerial capacity, as well as to develop and disseminate knowledge and promotion of debate on the management of natural and environmental resources, from the perspective of the economic sciences. Environmental economics. Originally, this line of research focuses on the analysis of one of the most serious and difficult-to-solve environmental problems in the urban areas of central-southern Chile: air pollution generated by households burning wood. We study the design and implementation as well as the economic, social, and environmental impact of the regulation associated with this pollution problem by analyzing the behavior of the households in terms of their fuel consumption and their reaction to specific public policies in a context of unequal income, diverse sources of regulatory uncertainty, and the unfeasibility of monitoring individual sources. The holistic analysis of these policies requires evaluating, from a socio-economic point of view, the effects of these measures on the well-being of the population and on the achievement of environmental objectives, as well as the design of the institutions necessary for their correct implementation. Now, we are focusing more generally on the design of environmental regulations, including the design of instrument, the design of enforcement activities, and the interaction between the state and stakeholders in urban areas. What has been the impact of the economic incentives for pollution control on households’ decisions regarding changing stoves and heaters? How should mechanisms be designed to induce compliance? What is the effect of information about sanctions on the behavior of the regulated population? How do the efforts of the state and communities directed to environmental care and natural resource protection interact? and aquaculture activities (both small and large scale). Some of the scientific questions that motivate this research line are: What are the advantages and limitations of property rights as a regulatory instrument for different marine activities? In what way should regulatory systems based on property rights be designed for attaining multiple conflicting management objectives? How do different types of regulatory instruments based on property rights develop over time? What factors generate the modifications observed in the instruments design? Climate change and ecosystem services. Incorporates other areas in which the Nucleus researchers have been recently working. We propose to extend the analysis from economics of terrestrial ecosystems to an analysis of the effects of climate change on different types of ecosystem services. This broader analysis covers the study of the impact of climate change and the environmental valuation of ecosystem services. Some members of the Nucleus have already acquired some experience in this area including recent scientific publications and research projects. In particular we want to address some specific research questions as, for instance, What are the current climate and anthropic stressors for water availability at a basin level? How the climate change scenarios will exacerbate the pressure over water resources? Which are the key elements determining the water use among different users? Is there any competition between the urban/industrial and agricultural sector? Are women and elders more affected by the impact of climate changes? Will fisheries, aquaculture and tourism suffer from climate change in the future? How will affected coastal communities mitigate the effects and adapt to climate change?